But when her style is so uncanny, what do you get for the Alexa aficionado in your life? Whether you’re a new fan or an old fan (eight years of trying to get Alexa’s style over here 🙋), one thing is sure, the littlest details make a difference. 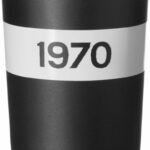 1970 Bella Freud Candle, you know like the jumper (read: sweater) that Alexa Chung wears all the time well, there’s two or three or maybe I’ve lost count at this point of all the Bella Freud sweaters she wears — but now you can light the whole house with the spirit of 1970’s! 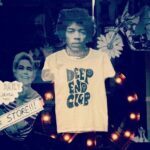 The Deep End Club T-Shirt, a store and community clubhouse created by Chung’s BFF (and drummer for The Like) Tennessee Thomas, the Deep End Club promotes change, peace, and love in the best way possible. 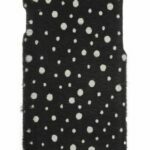 Dotted Case Factory iPhone Case, printed dots on calf hair for your iPhone is luxe without being ostentatious. Which is part of Alexa Chung’s style, expensive elements but so far from flashy and the coolest prints. Remember the lining of It? Perfect polka-dots… Subtle, cool, but a hint, smidgen, pinch, little bit of luxe. 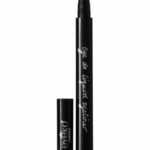 “Eyedo” Alexa Chung x Eyeko Liquid Eyeliner, the earliest day’s of her style were marked by Alexa Chung’s signature cat-eye flicked eyeliner. For the past two years Alexa has been working with Eyeko to help all of our eyeliner needs. “Alexa Leather” Alexa Chung x Nails Inc. Nail Polish, those who watched It’s On With Alexa Chung (and for those who didn’t: think a Great British Bake Off aesthetic with TRL’s after-school antics and Wossy’s dry humor. Did that make sense?) know how serious her status in the nail polish-sphere is. Chanel “Jade” had a waitlist longer than my “to-do” list, but now you can get Alexa’s nail polish style via her collaboration with Nails, Inc.
Blue and Green Faux-Fur Shrimps Scarf is she a vegetarian? is she vegan? Questions that we have long been asking, but it doesn’t matter because faux-fur is cool no matter what your taste in meat has to say. This blue and green scarf from Shrimps takes your grandmother’s fur scarf to new technicolor levels without missing a channel. 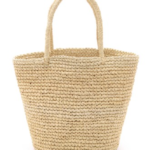 Medium Sensi Studio Straw Tote, even if the Alexa Chung fan in your life has it all, they probably don’t have the greatest straw bag. Arguably the strongest influencer in Alexa’s style, Jane Birkin gave us all a lesson in the idilic Provence straw bag looks. Surprise your Chung-ette by going one step further and giving the gift of their style icon’s icon.